What steps do you follow to take care of your skin? Usually, a daily skin care regimen includes washing the face with a facial wash and applying moisturizer (especially if you have dry skin). However, there is one more important step you need to include in this process in order to maintain the health and appearance of your skin. Applying a toner should always be a part of your skincare routine. An effective toner is an excellent way to cleanse your skin of hard-to-reach lingering bacteria and dirt deep inside your pores. Toners should be applied after cleansing your face and removing all your makeup. Other than combating skin problems, a toner also helps in maintaining a healthy, glowing, and youthful skin. The skin toner which will work best for you depends on your skin type. 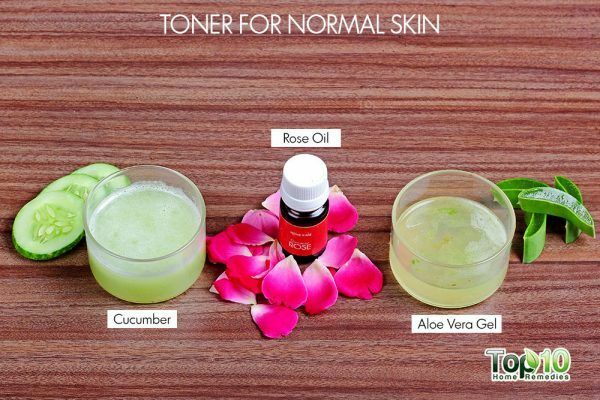 Here are a few DIY toner recipes for specific skin types. These are made using readily available natural ingredients. 1. 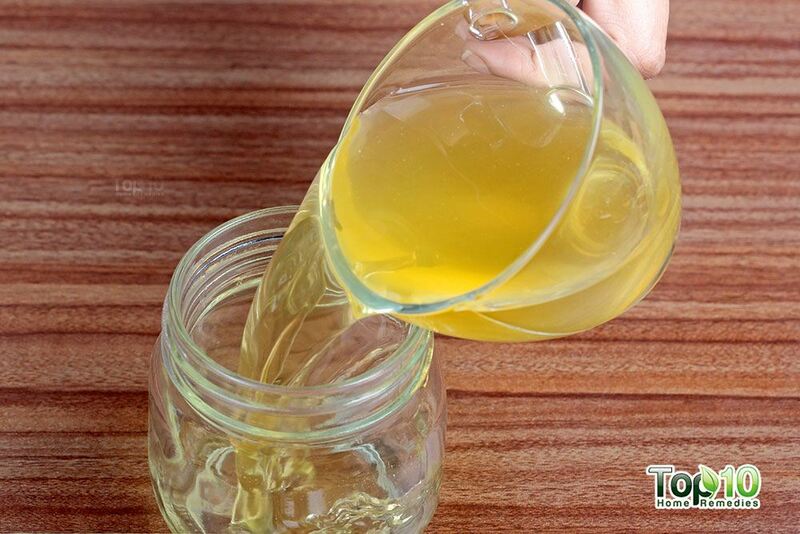 Steep a bag of green tea in ¾ cup of hot water for 5 minutes, then pour it into a jar. 2. 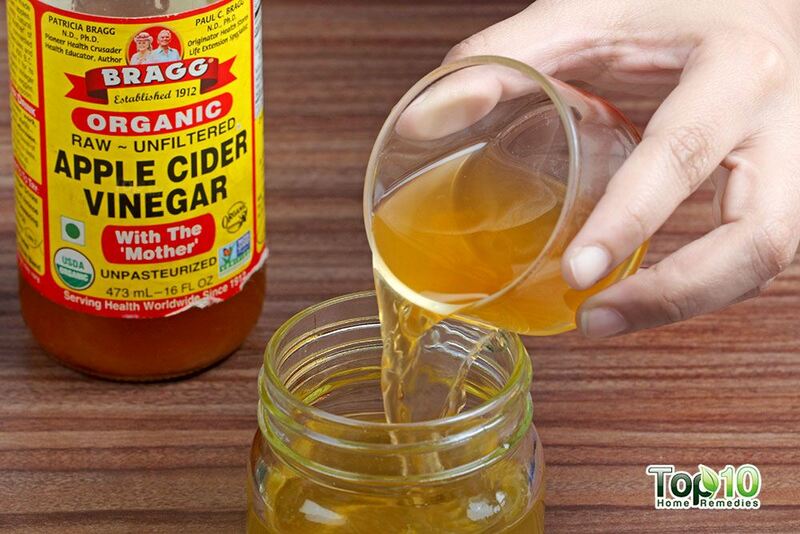 Mix in ¼ cup of apple cider vinegar. 3. Allow the mixture to cool to room temperature. 1. 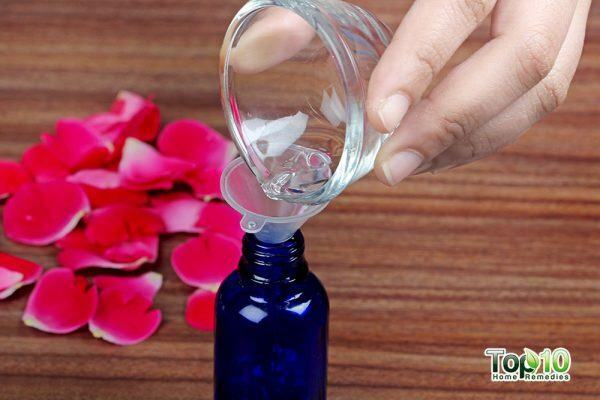 Pour 2 tablespoons of rose water into a spray bottle. 2. . Add 1 teaspoon of glycerin and mix it well. 1. 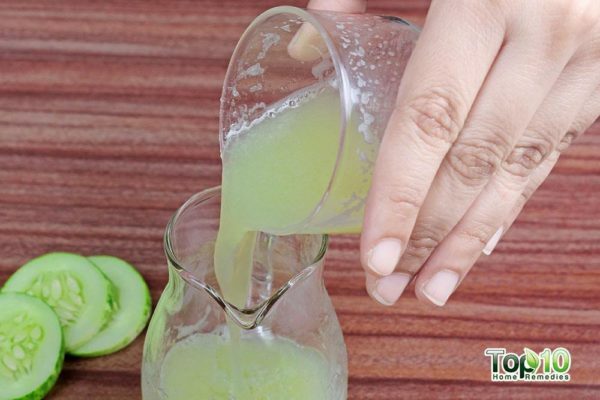 Extract the juice of 1 medium-sized cucumber and transfer it to a jar. 2. Add aloe vera gel to the cucumber juice. 3. Add 5 drops of either rose oil or peppermint oil. 5. Pour it into a spray bottle. If you have oily or acne-prone skin, this toner will help you to reduce your skin’s oiliness and shrink large pores. It will also help reduce acne, which is quite common among people with oily skin. 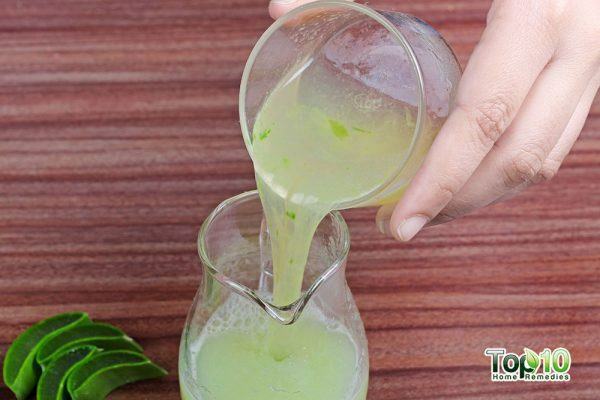 Green tea has anti-inflammatory properties that fight against acne, while apple cider vinegar effectively reduces the oiliness of the skin and helps balance its pH level. 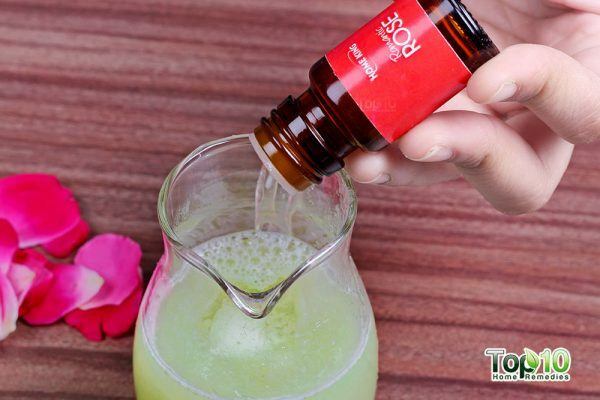 You may also add a few drops of tea tree oil for added benefits. 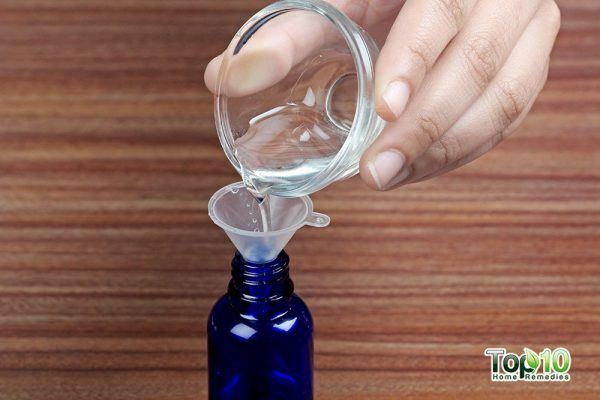 Tea tree oil helps fight acne breakouts and pimples. Note: For oily and acne-prone skin, apple cider vinegar helps in treating acne and reducing redness. For dry and normal skin, this ingredient helps to exfoliate the skin and reduce wrinkles. Your homemade toner for greasy and acne-prone skin is now ready to use. Note: Wash your face thoroughly with a cleanser before applying your toner. 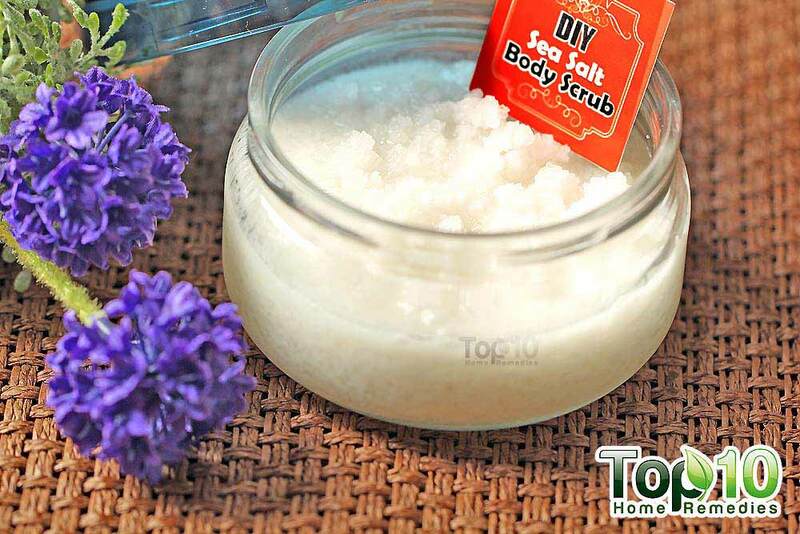 Dip a cotton pad into the mixture and apply it gently on your face. 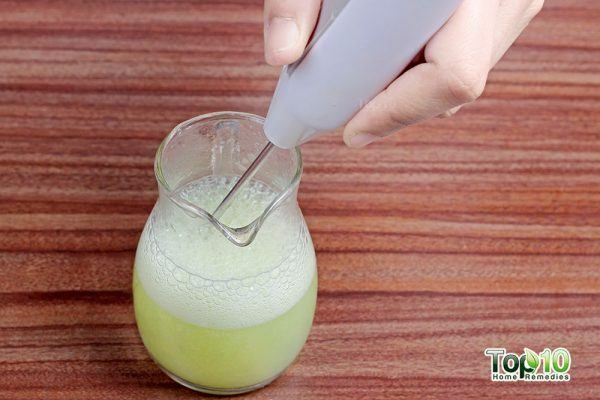 You can also pour the mixture into a spray bottle and lightly spray it on your face. Do not rinse it off after applying. Let it dry instead. Use this toner twice daily for effective results. 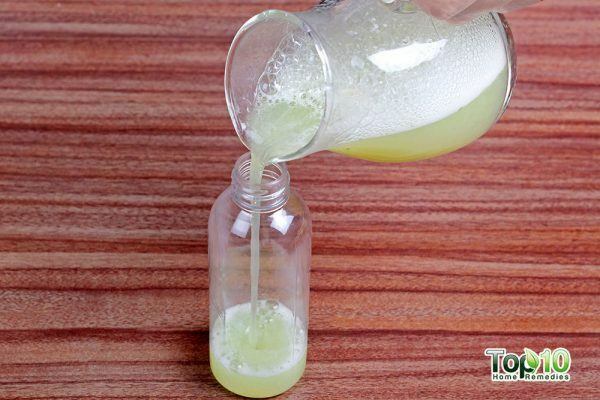 You may store this homemade toner for oily skin in the refrigerator for up to 7 days. Dry skin is a common grievance among people of all ages, especially during the cold and arid months of winter. This condition results when your epidermis or outermost layer of the skin is stripped off its natural oils and moisture making your face appear patchy and worn out. Besides adding years to your face, a dry skin is also particularly sensitive and prone to flaking, redness, and itching. All in all, living with dry skin can be a terrible ordeal but nothing that bit of self-care can’t fix. One essential step towards restoring your skin’s suppleness is regular toning. Treating your skin with a gentle, non-abrasive toner will help mitigate its dryness and keep your face looking healthy, moisturized, and rejuvenated. Two dry skin-friendly natural ingredients that beauty experts swear by are rose water and glycerin. While the former helps restore the pH of the skin and makes it appear fresh, the latter provides ample moisture to the dry skin. 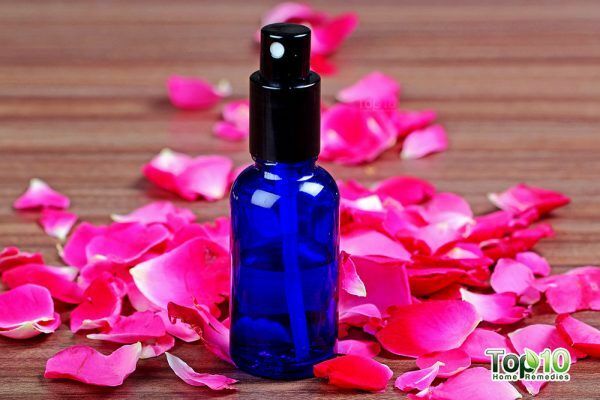 Moreover, refrigerated rose water can also help shrink large pores and is known to have a protective effect on damaged skin. Your DIY toner for dry skin is ready for use. Lightly spray the toner on your face. 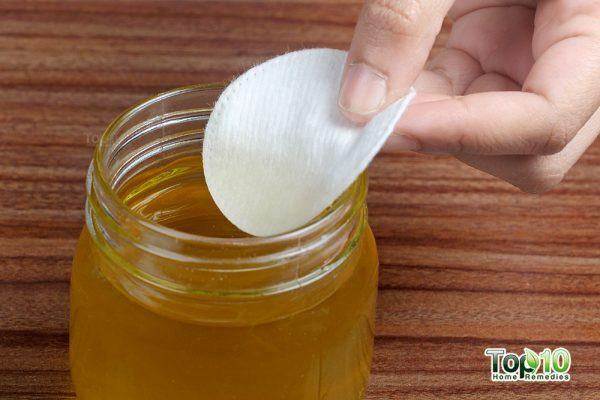 If you prefer, you can keep the toner in a jar and use a cotton pad to dab it on your face. Use it every day, before applying a moisturizer. The toner can be refrigerated for up to 10 days. If your skin is not particularly oily or dry, you are likely to have a normal skin type. This toner for normal skin will protect it from becoming too dry or oily, while also moisturizing it. Aloe vera, on the other hand, works to impart moisture to your parched skin without making it greasy. 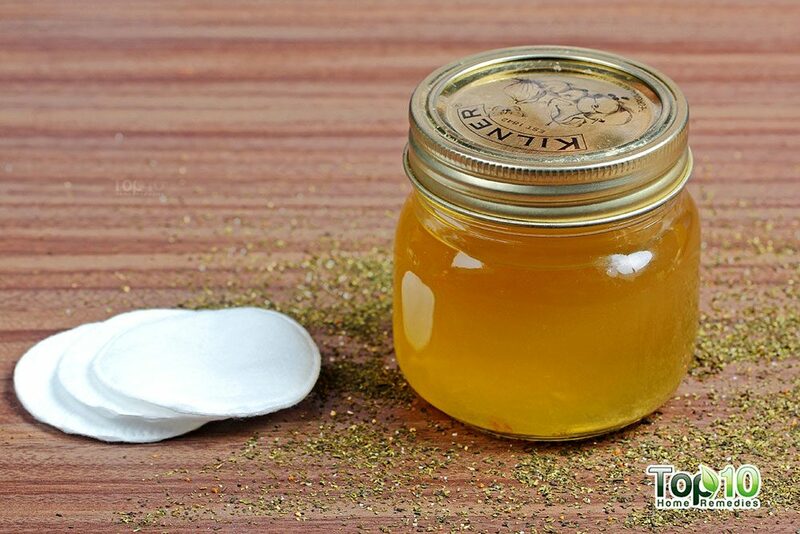 It also has antibacterial properties that help ward off acne and pimple breakouts. Another ingredient in this therapeutic mix is rose essential oil which boasts of excellent skin rejuvenating properties. It further has astringent properties to boot, which come in handy for the treatment of acne-prone skin. Add to that, the potent anti-inflammatory effect of this healing agent which helps calm skin irritation to a significant degree. 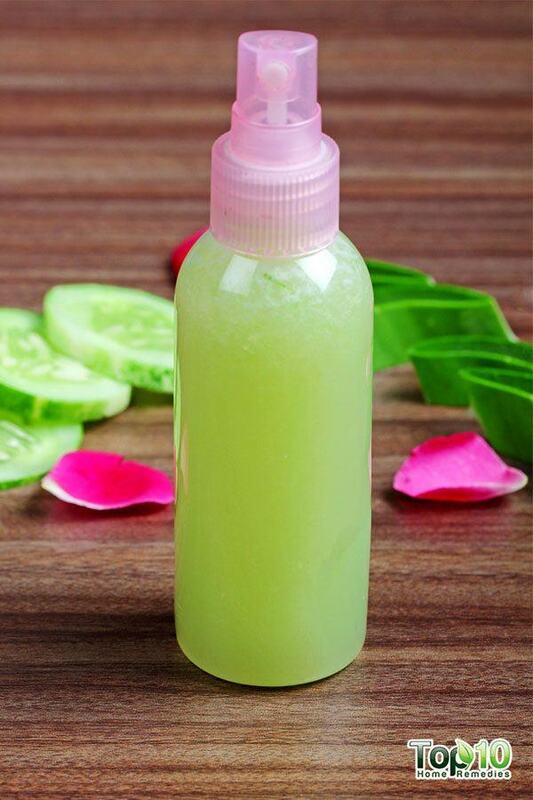 Your natural homemade toner for normal skin is ready to use. You can spray it on your face, making sure it covers all the areas of the face. Leave it on for 5 to 10 minutes. Then, rinse it off with normal water. You can store this mixture in the refrigerator for 5 to 7 days. Witch hazel also works as a great skin toner for all skin types. Make sure you use alcohol-free witch hazel. 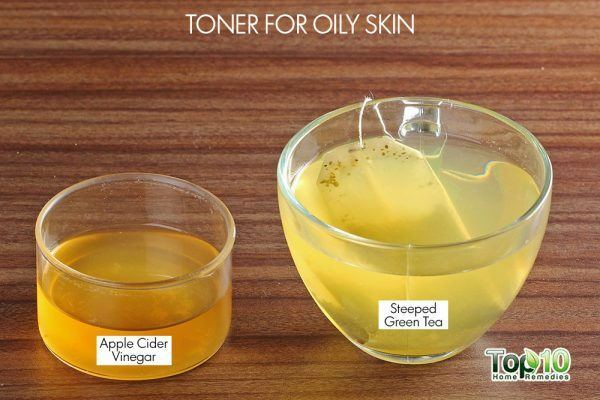 If you don’t have green tea, simply mix equal parts of water and apple cider vinegar to create a natural skin toner for oily skin. If you don’t have a spray bottle, you can just put some toner in a bowl and use cotton pads to dab the toner on your face. Make sure to put the solution in an airtight container when storing. Be careful while storing your toner. While refrigeration helps, do not store the homemade toners for more than 7 days. They will lose most of their benefits if stored for too long. Katiyar SK, Ahmad N, Mukhtar H. Green tea and skin. Archives of dermatology. https://www.ncbi.nlm.nih.gov/pubmed/10926734. Published August 2000. Pazyar N, Yaghoobi R, Bagherani N, Kazerouni A. A review of applications of tea tree oil in dermatology. International journal of dermatology. https://www.ncbi.nlm.nih.gov/pubmed/22998411. Published July 2013. Siddappa K. Dry skin conditions, eczema, and emollients in their management. Indian journal of dermatology, venereology, and leprology. https://www.ncbi.nlm.nih.gov/pubmed/17642836. Published March 2003. Phytochemical and therapeutic potential of cucumber. Fitoterapia. https://www.sciencedirect.com/science/article/pii/S0367326X12002791?via=ihub. Published October 23, 2012. Elsaie LT, El AM, Ibrahim IM, Mohey-Eddin MH, Elsaie ML. Effectiveness of topical peppermint oil on symptomatic treatment of chronic pruritus. Clinical, cosmetic and investigational dermatology. https://www.ncbi.nlm.nih.gov/pubmed/27785084. Published October 11, 2016. I tried using apple cider vinegar to dry out pimples and it burns and leaves redness. I’m just wondering if this would happen when I apply the toner? Trying this out tonight. Hope it helps with my oily skin! baking soda paste closes pores after cleansing or a scrub.